NTV Kenya Periscope User Stats This is NTV Kenyas periscope stats website page. This is NTV Kenyas periscope stats website page. NTV Kenya created profile on 2015-07-16 Time 05:53:58 and last update profile time is . NTV Kenya total followers is 5992 and NTV Kenya total following is 31 . 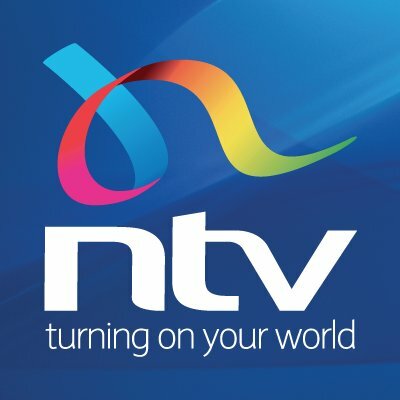 NTV Kenya twitter nickname is ntvkenya. LIVE: Watch #NTVAtOne with @NyabolaEdmond. SWALI: Je, ungependa kujua nini kuhusu chanjo tofauti? #NTVSasa @JKaltun @janengoiri. LIVE: Watch #NTVToday with @AmbokoJH. Watch #LivingWithEss with @ThisisEss for a discussion on "how to take care of your pets." LIVE: Watch today's edition of "Standing on Guard" on #AMLiveNTV with @debarlinea. LIVE: Watch #NTVAtOne with @zeynabisamail for the day's news coverage. LIVE: Get the latest news & updates on developing stories on #NTVAtOne with @KenMijungu. Tune in to #LivingwithEss with @ThisIsEss as we talk about fashion. LIVE: Watch #NTVWeekendEdition with @NyabolaEdmond. HIVI SASA: Tazama taarifa za utendeti za #NTVJioni na @JKaltun. Watch #HealthDiaryNTV with @Gladys_Gachanja for an in-depth discussion on childhood glaucoma. LIVE: Watch #NTVTonight with @MarkMasai & @SmritiVidyarthi for comprehensive news coverage. LIVE: National Summit to discuss devolution matters enters day three. Watch #LegSum2019 live from Kisumu County. Happening now: 4th Annual Legislative Summit in Kisumu. LIVE: Watch NMG investors briefing at Serena Hotel. Watch #LivingWithEss with @ThisisEss as we discuss effective communication. LIVE: Watch today's edition of " People and Politics" on #AMLiveNTV with @debarlinea. LIVE: Watch #PressPass with @MarkMasai where we tackle the question: Is there fairness in the way cases of violence against women is reported? LIVE: Follow the live proceedings from the 4th Annual Legislative Summit. Tazama makala ya #NTVSasa na @salimswaleh001 leo tukiangazia siasa makanisani. LIVE: Watch ##WeekendEditionNTV with @NyabolaEdmond for the updates on the day's news & stories. HIVI SASA: Tazama #NTVSasa na @janengoiri na @YoshuaMakori. droo ya AFCON inafanywa leo; una matarajio gani kuhusu Kenya? LIVE: Watch #NTVAtOne with @zeynabismail for the day's news and updates on developing stories. SWALI: Je, kufanya mazoezi ni haja ya maisha ama ni mtindo wa kisasa? #NTVSasa @janengoiri @SalimSwaleh001. LIVE: Watch #NTVToday with @DannMwangi for the latest news and updates. LIVE: Watch today's edition of "Standing on Guard" on #AMLiveNTV wit h @debarlinea. Watch #NTVTonight with @OBurrows and @DennisOkari LIVE via ntv.nation.co.ke/live.